Unless you’re on a permanent vacation, you’re probably not touring the country in your RV or taking to the water in your boat 365 days a year. Even if you’re a full-time RVer or a frequent marina visitor, there are still going to be occasions when you need to store your vehicle for a period of time. This is where RV and boat storage comes in. 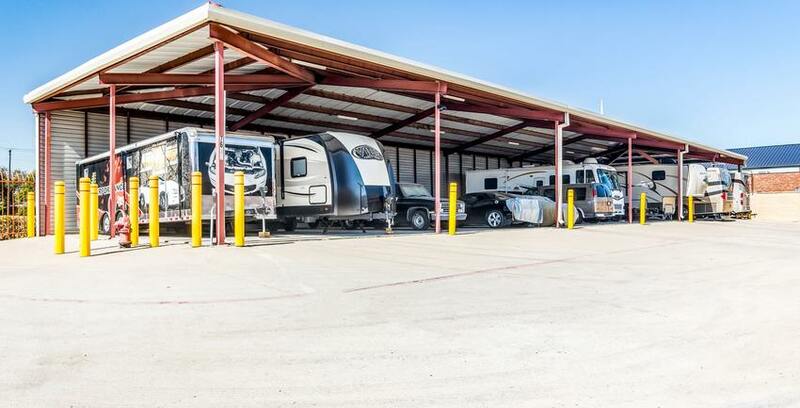 In addition to offering personal and commercial self storage options, many storage facilities offer a safe place for your RV, boat or any other vehicle that needs safekeeping. At All Storage, we offer RV and boat storage at numerous locations. We also offer amenities tailored to the unique needs of RV and boat owners that you’d be hard-pressed to find elsewhere. Whether you’re thinking of putting your RV or boat into hibernation for an entire season or just storing it for a month or two, here’s what you need to know. If you’ve never stored your RV or boat at a storage facility, you might be wondering if it’s worth it. After all, you have a driveway at home, right? Storing at a facility is actually a better idea for a number of reasons. You may not be able to store your RV or boat in front of your home due to an HOA rule. Even if you are permitted to do this, storing your RV or boat at home leaves it vulnerable to damage from the elements and from theft. You probably don’t have time to monitor your RV or boat at all times while it’s parked outside of your home. A storage facility—especially one with security cameras like All Storage—can do that for you. RV and boat storage is available in a range of styles. You can choose the right type of storage based on your needs and your budget. You should also factor in how long you’ll be storing and how often you’ll be taking your RV or boat in and out of storage. If you’re looking for the least expensive, most basic option, carport style storage is available for vehicles up to 50-feet in length. If you want a more sophisticated storage option, fully-enclosed storage is available. Did you know that you can have access to electricity in an RV storage unit? This is a great option if you’re using a trickle charger for your battery. Many RV owners opt to remove batteries and store at home, but if you’re going to leave yours in, a trickle charger is essential. It works like this: As your RV battery loses charge and drops below a certain percentage, the trickle charger slowly provides power without overcharging. Once the battery percentage gets back to an acceptable level, the trickle charger stops charging, prolonging battery life. If you’re going with outdoor RV or boat storage, it’s crucial that you protect your vehicle from the sun. Just as you wouldn’t go outside for a long period of time without sun protection, you shouldn’t leave your RV or boat exposed to those powerful rays either. No, that doesn’t mean slathering your vehicle with sunscreen; it means purchasing a cover that will shield it from that killer Texas sun. You can trust All Storage to keep your RV or boat safe, but it never hurts to take a few security measures yourself when storing your vehicle. Always remove valuables from your RV before storing it and be sure to lock the door. If you’re storing a boat, ask about lock boots for sale. If you’re storing a fifth wheel, purchase a fifth wheel lock. Before storing your RV or boat, give it a good spring cleaning—regardless of season. Remove perishable items along with toiletries and cleaning supplies. All Storage works hard to prevent pests from entering RVs or boats in storage, and you can help in this effort by removing anything that might attract bugs and rodents. Remove cushions and store at a home or in a climate-controlled storage unit. Inspect the outside of your vehicle to ensure that there aren’t any holes or cracks. If there are, repair them immediately. Despite what folks up north might think, the south isn’t immune to winter. If you’re storing your RV or boat in self storage for the winter, you’ve got to prevent damage from frost, rain, freezing temperatures and even occasional snow. For RV owners, plan on doing the initial fluid dump at the last place you camp at. You’ll also need to purchase RV antifreeze (three gallons is typically fine for the average RV, but amounts can vary, especially if you don’t have a bypass installed). Other steps to take include removing the battery if you aren’t using a trickle charger and checking tires and applying sealant. If winterizing stumps you, contact an RV or boat shop, as many will winterize your vehicle for a fee. Be sure to consult your manual, dealership and don’t hesitate to ask All Storage employees if you have any questions about RV and boat storage—or any kind of storage for everything else in your life.